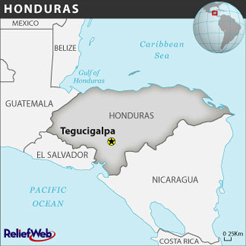 The Central Florida Honduras Commission was established by the Episcopal Diocese of Central Florida to support, encourage and enable the mutual ministry between the Diocese of Central Florida and the Diocese of Honduras. A special edition of the Central Florida Episcopalian was published in November, 2013 that gives much information on the relationship between the Diocese of Central Florida and their companion diocese, the Diocese of Honduras. Read this edition here. My vision is to lead the Episcopal Diocese of Honduras away from its history of dependency and to strengthen the infrastructure of the diocese by moving the churches to a self-sustaining position through human and spiritual capital with a focus on sustainable programs.